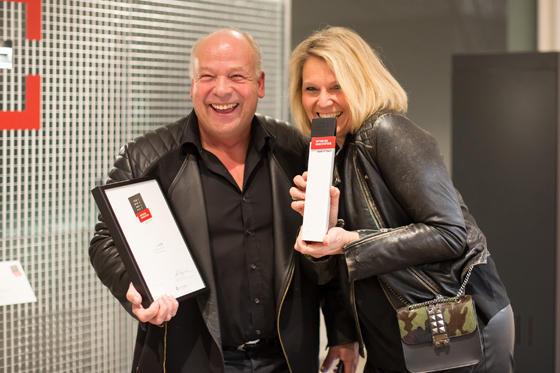 The jury of the ICONIC AWARDS: Innovative Interior have spoken: On Sunday, 14 January 2018, on the eve of the opening of imm Cologne, the winners of the ICONIC AWARDS: Innovative Interior will be honoured at the Kölnischer Kunstverein at 6:00 p.m. Out of more than 500 submissions from the furniture, interior design and interior architecture sectors, 30 projects will be awarded the title ‘Best of Best’. ‘Winner’ and ‘Selection’ prizes were also awarded in the categories Furniture, Outdoor Products, Bath & Wellness, Office & Workplace, Building Equipment, Wall, Floor, Ceiling, Kitchen & Household, Lighting, and Textiles. 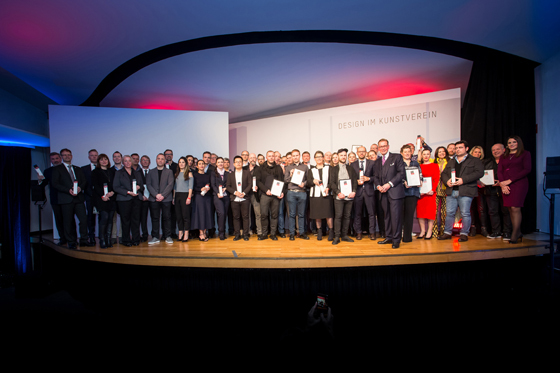 Each year, at the kick-off of the furniture season, the competition’s prize-winners set new standards for the interior design sector and serve as a trend barometer for both professionals and the general public. The four most important developments this year are ‘Traditionals’, ‘Colour Boost’, ‘Geometrics & Structure’ and ‘Modern Simplicity’. 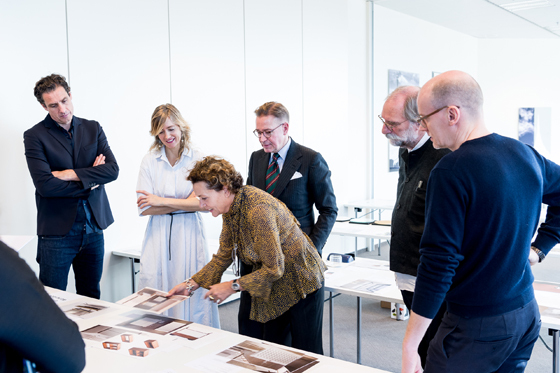 The jury, composed of representatives from the design, retail and media sectors evaluating the entries. The official opening of the winners' exhibition will give way to a varied programme of sights and experiences during the PASSAGEN design festival from 15 to 21 January 2018 at the Kölnischer Kunstverein in Cologne. 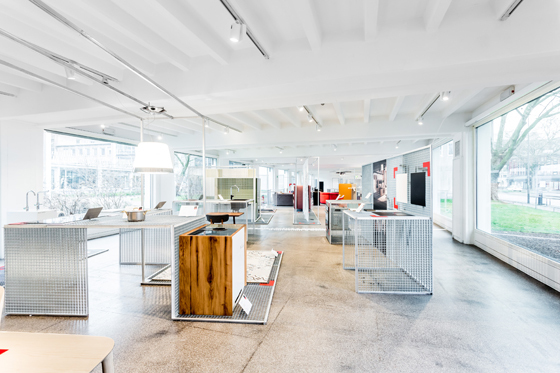 In addition to the trend exhibition with the winners of the ICONIC AWARDS: Innovative Interior 2018, the German Design Council is also providing a platform for the next generation of designers. The winners of the Newcomer Awards launched last year with the ein&zwanzig competition will be presenting their solutions for the present and ideas for the future on the upper floor of the Kölnischer Kunstverein. An interactive presentation in the cinema auditorium shows holistic architectural concepts from the ICONIC AWARDS 2017. Moreover, the German Design Council, together with Sabine Voggenreiter, founder of the PASSAGEN design festival (also known as Interior Design Week Cologne), is announcing the PASSAGEN Prize for the first time. The awards ceremony will take place on Tuesday, 16 January 2018 at 5:00 p.m. at the Kölnischer Kunstverein. Guided tours and workshops on teaching design will also be given in collaboration with the Deutsches Design Museum Foundation (German Design Museum Foundation). The question ‘What is design?’ as well as the latest innovations in design, materials and production can be explored there. Those who would like to try their hand at design can create their own chairs in the ‘10-minute Chair’ workshop. You and your friends are cordially invited to the opening of the exhibition at 7:30 p.m. at the Kölnischer Kunstverein. Join us and discover this year's trends in furniture and interior design first hand!